Crescent® is a premier hand tool brand from Apex Tool Group, one of the largest hand tool manufacturers in the world. It introduced the original adjustable wrench in the early 1900s in USA, which in effect replaced an entire set of dedicated - size wrenches. It quickly became and continues to be one of the most essential tools in the toolbox. In fact, Charles Lindbergh was quoted saying he carried only “gasoline, sandwiches, a bottle of water and a Crescent® wrench and pliers” on his famous 1927 solo transatlantic flight. Today, the Crescent® line has expanded beyond adjustable wrenches to include a wide selection of pliers, ratcheting wrenches, screwdrivers and tool sets. Crescent® tools are made from chrome vanadium steel alloy, specially formulated and heat-treated for high strength and superior resistance to abrasion and corrosion. Every part of every tool – from the vapor-blasted screwdriver tips to the hardened ratchet gears and pawls – is designed for extremely long life. A full line of quality hand tools from the brand trusted for over 100 years. From the flawless chrome finish of its wrenches, ratchets, and sockets to the perfectly balanced and shaped dual-material handles of its screwdrivers, this line of industrial hand tools has an extraordinarily high level of quality. 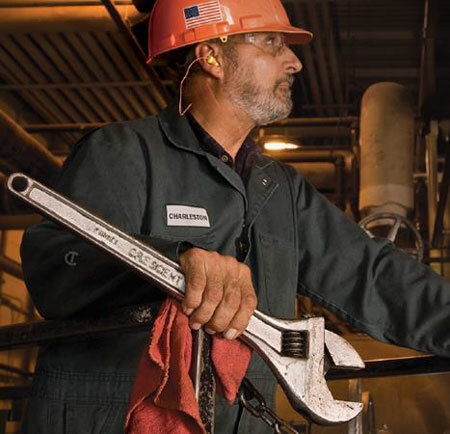 Crescent® Quality tools get jobs done faster and increase overall productivity.